On Saturday, September 22nd, the series will launch in true Marion style! 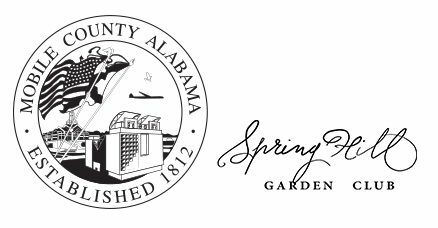 Sponsored by the Spring Hill Garden Club, this day will be filled with wonderful speakers and fabulous food by Georgia Roussos Catering. University of South Alabama Paleobotanist, Dr. Brian Axsmith will speak in the morning and Dr. Dave Creech will round out the afternoon. Lunch and a special mid-afternoon dessert reception will allow for gracious time to visit with Marion’s friends and family from Baton Rouge and beyond who will make their way to Mobile joining us for what will surely be a wonderful day. Click here to learn more. On Tuesday, October 9th MBG will host internationally acclaimed author, Andrea Wulf, for an evening presentation and book signing of her New York Times Bestseller, The Invention of Nature: Alexander von Humboldt’s New World. Click here to learn more. Saturday, January 19th, 2019 Greg Grant will present “Gardening for the Birds & and the Bees” followed by a presentation from the Mobile Backyard Chicken Club! This will certainly be a fun day! Click here to learn more. On Friday, April 5th, 2019 in conjunction with Gallery of Gardens 2019, MBG will host Brie Arthur as she presents her Amazon best seller, The Foodscape Revolution. Foodscaping is all about making the most of your available square footage while engaging the next generation. Discover how to grow the flowers and food that you love to create a beautiful and bountiful space. Learn about growing in containers and new technologies including patio friendly Aeroponic systems and vertical gardens. The best organic practices are featured to arm attendees with sustainable land management ideas while deterring browsing mammals. From having a party ready patio to a bountiful property border Brie will share expert growing tips for a successful harvest. We can also look forward to hearing from local nurseryman and Aromi Azalea expert, Maarten van der Giessen. Click here to learn more. On Saturday, August 17th, 2019 MBG will welcome Robert “Buddy” Lee, the inventor of Encore® Azalea, the world’s best-selling reblooming azalea! We will also hear form University of South Alabama professor, Dr. Juan Mata, who will explore the unique and fascinating world of fungi. Click here to learn more. Saturday, October 19th, 2019 While Fall Plant Sale is in full swing, MBG will welcome bulb expert, Scott Ogden.With horticultural experience that spans zones 4 through 10, Scott Ogden designs and consults for public and private gardens around the country and beyond. His book, Bulbs for the South, is a great addition to any gardener’s collection! We will also hear from local nurseryman and camellia expert, Bobby Green. His October Magic series is always popular at plant sales! Fall Plant Sale 2019 promises a great selection of bulbs and camellias. Click here to learn more.